ACCESS g forecast+ 150hrs. GOC low intensifies with shift to the west. Very strong NW inflow. I am going with my %50 to %50 chance it's might be some things in the next few days or not or who know. Ah, there is rotation (again on radar) in bottom end of the Gulf. Thanks for that update mate. 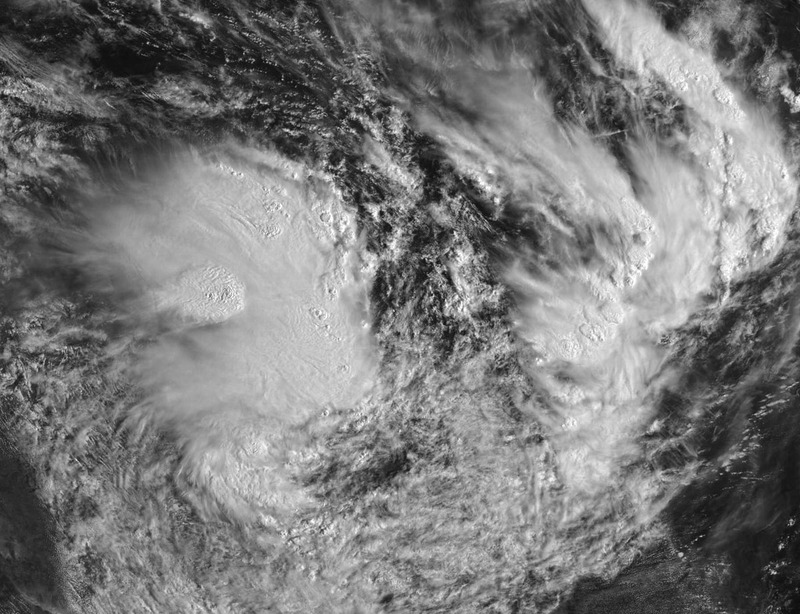 It's look like we may have a TC developing still in the GOC. Some things we still have to watch any way by this outlook people. 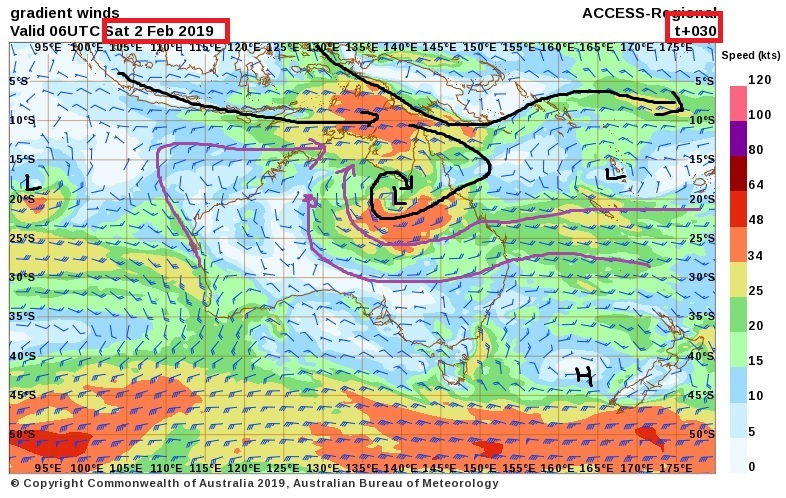 ACCESS G has the GOC/ peninsula low up there for another 6 days . Some images from about an hour ago this morning. Himawaricast via Jcsat2B. Received with a 2.3m dish. Australia crop and a close up on band 3 644nm. 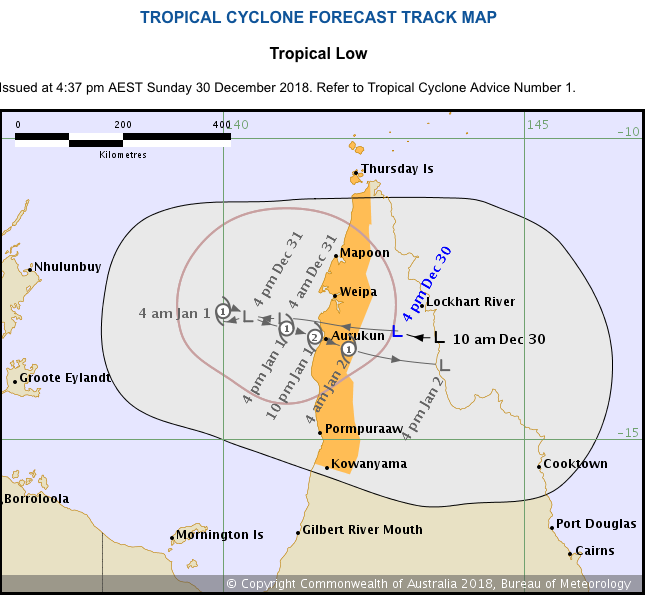 It's looks like we maybe see an Possible Tropical cyclone watch later this evening or tonight or tomorrow where this low may go in the Goc or the QLD coral sea who know what it's will do next I mean. It's really got me at the moment. These things can get really bigger and small. That make it's so very interesting to watch. Here is the initial forecast compared to actual. I believe ACCESS did really well!! . ONLY About 5 deg latitude out , which is about 500km ..
ACCESS g has delayed the far nth coast coral sea venture for now. I believe the medium term forecast still has the low /TC heading down the East coast. 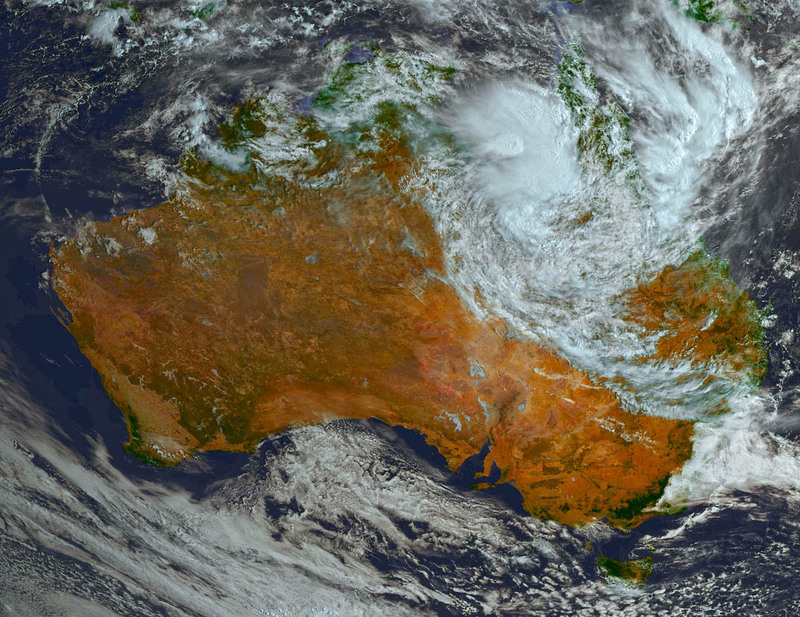 This is being discussed on the SE/NSW thread over the past week.
. A cyclone is only named when the core is over sea . oh. I see now what you were asking 'hickory' . 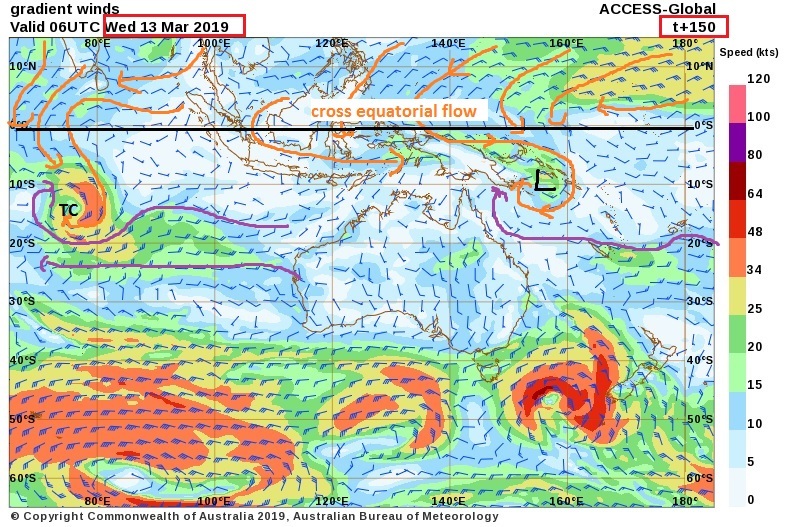 About the lows migration to the coral sea. 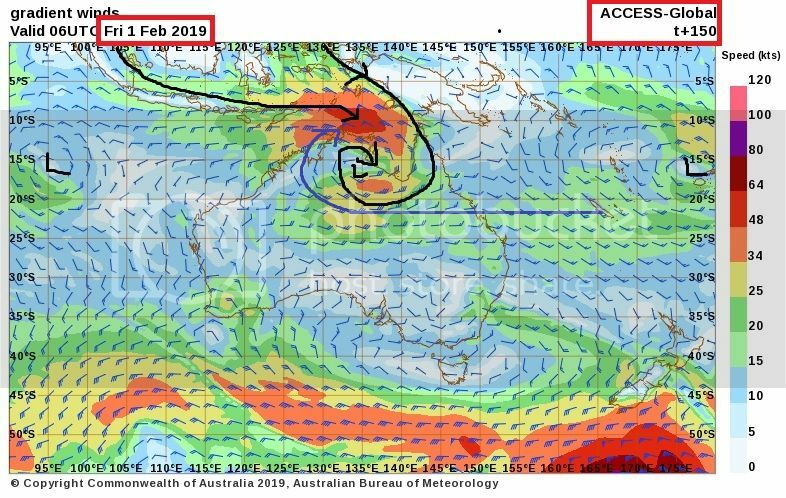 I don't follow the 10 day out model but if you look ACC g has the low/TC in the coral on the 9th feb . ACCESS has stalled the easterly tracking by 5! days. I find it hard to believe the low will sit there all week . synoptic pattern stalling has been the 'thing' at the moment. mt isa 512km gives a nice picture. for the period until midnight CST Tuesday 5 February 2019. 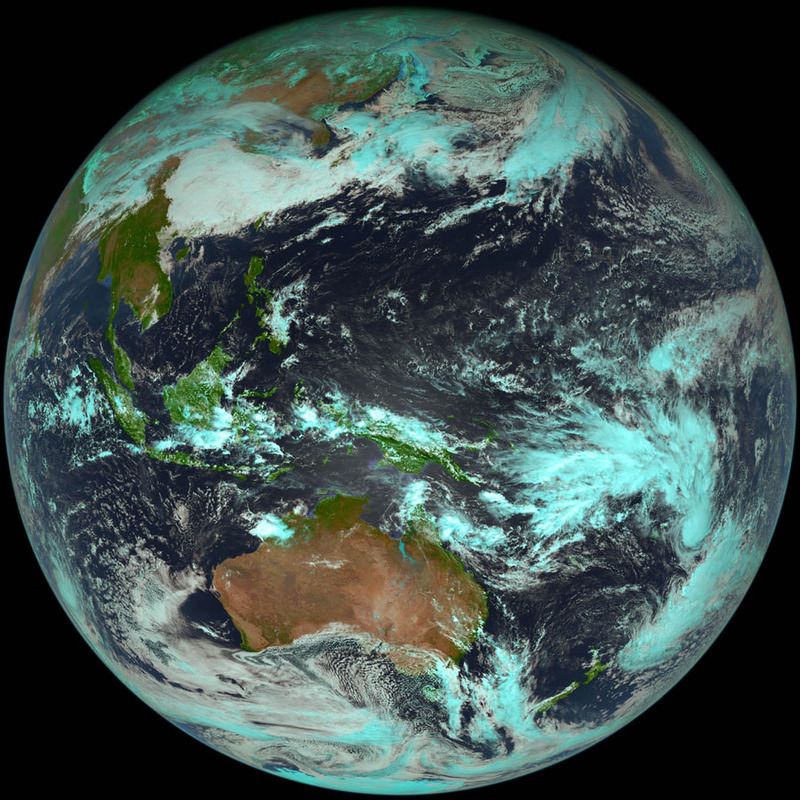 The monsoon trough is currently situated across northern Queensland. 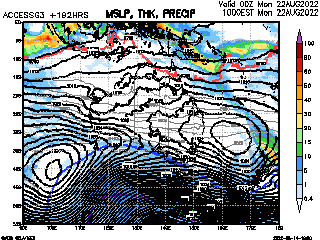 A monsoon low, 995 hPa, is embedded within this trough south of the Gulf of Carpentaria. 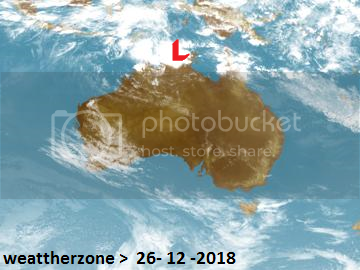 This low is expected to remain slow moving during the next three days; however, there is a slight possibility that it will move into the southern Gulf of Carpentaria during Tuesday. Just looking at the obs in the lows armbands. WOW! Now that the cloud has cleared from the gulf, check out the flooding of the Leichardt River from that low that sat there for ages! 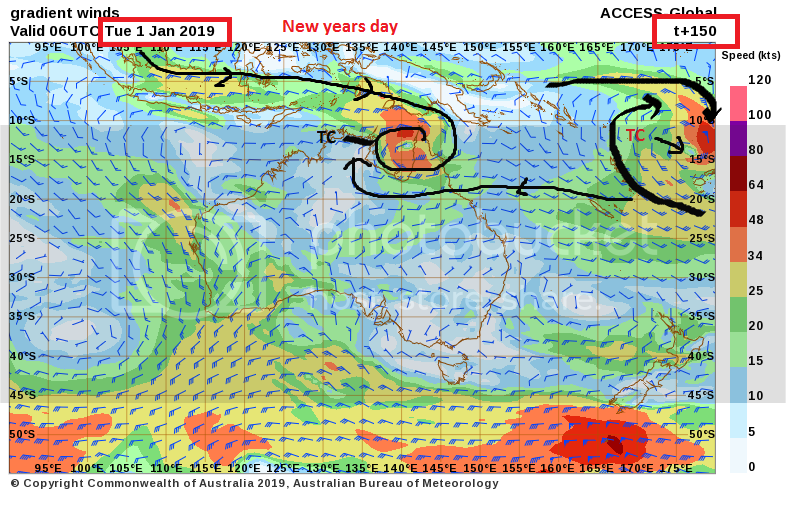 Comparison from January 2 and today February 9. Himawaricast images received by me from Jcsat2B. It even shows on full disc images. Totally mad! Wow that explains 80 klms of inland sea with no view of land in sight.